1. Line up the Internal Ball Cap with the inside of the end of a Schedule 40 PVC pipe. 2. 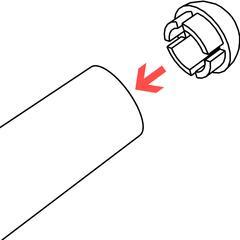 Press or lightly tap until the cap is fully seated and flush with the outer diameter of the PVC pipe. 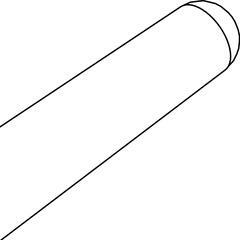 NOTE: Make sure that the end of the Schedule 40 PVC pipe is cut at a perfect 90 degrees, to accommodate the Ball Cap, therwise a gap may appear on one side of the connection. Due to pipe variances, it is highly recommended that PVC cement be used to secure the cap permanently, however, friction may be enough to hold the cap in place. Please click here to view the Internal Ball Cap Product Guide for additional instructions and troubleshooting for this product.